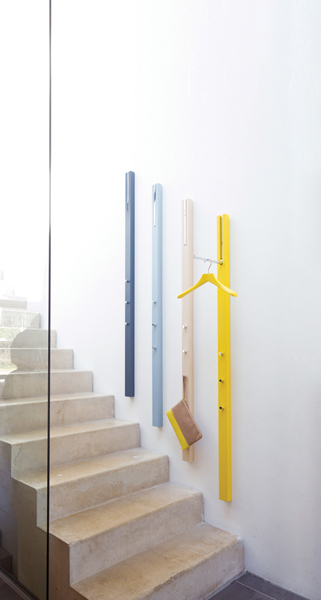 Line by Davis is a wall-mounted hanging storage element in a streamlined form that maintains maximum function. Finished in natural oak or walnut or a collection of painted wood colors. 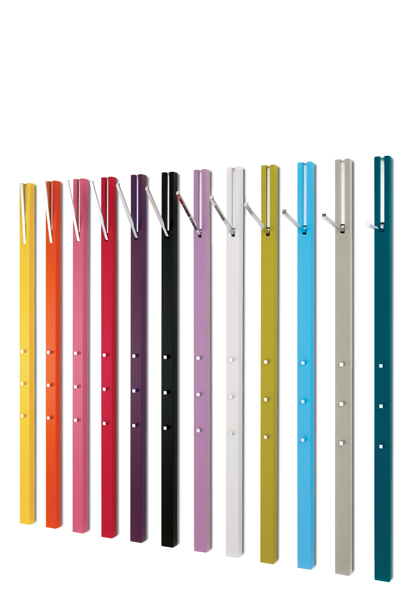 With its slim profile and there-when-you-need-it pull-down hanging bar, Line adds unobtrusive utility along with high-impact visual interest.